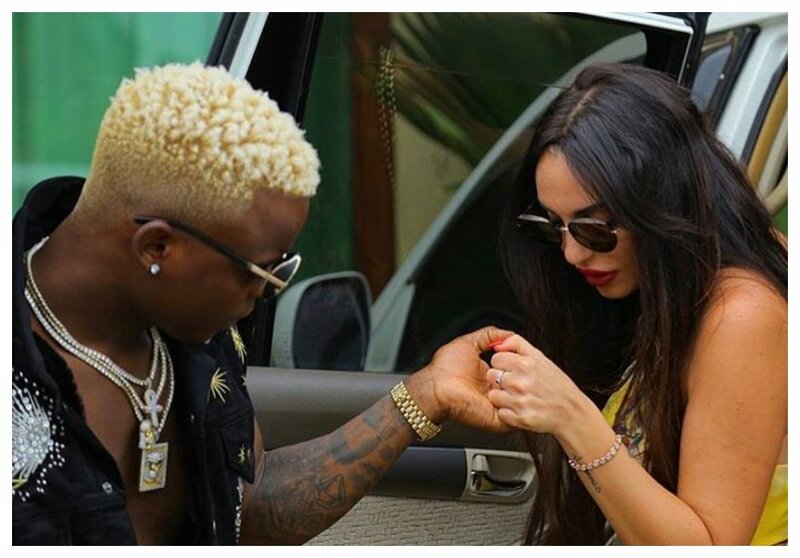 Harmonize and his sweetheart Sarah Michelotti have received congratulation messages galore after she flaunted burgeoning baby bump on social media. The Italian beauty took to Instagram and shared her photo while she was clad in a red dress which gave viewers a panoramic view of her belly. Sarah however didn’t state that she is indeed pregnant, she just indicated that she was extremely happy in the photo caption. “Make me Smile ….Always .K&Q.” Sarah captioned her photo. Harmonize recently fought off breakup rumors. The two lovebirds have not been seen together for a long time but Harmonize insists that they are still together.